Vote-counting continued Wednesday in the race for the 49th Congressional District seat, with incumbent Rep. Darrell Issa, R-Vista, maintaining a 2 percent lead over his Democratic challenger, retired Marine Corps Col. Doug Applegate. The latest figures released Tuesday evening from the Nov. 8 election show Issa with 51 percent of the vote and Applegate with 49 percent, with 4,576 votes separating them. The 49th District straddles the San Diego/Orange County line, with about 75 percent of the votes coming from northern San Diego County, and southern Orange County making up the rest. Issa has received 47 percent of the San Diego County votes to Applegate’s 53 percent, but he more than made up for that deficit by receiving almost 60.8 percent of the Orange County vote to Applegate’s 39.2 percent. The Secretary of State’s Office showed Issa overall with 117,848 votes and Applegate with 113,272 votes. 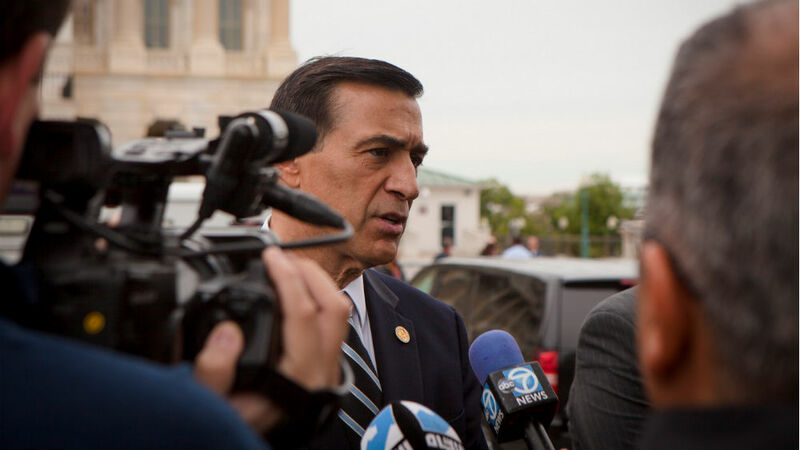 Issa has already claimed victory in his bid for a ninth term. The Applegate campaign did not immediately respond to a request for comment. Hundreds of thousands of votes still need to be counted in both San Diego and Orange counties, but it was unclear how many of them were cast in the 49th District.